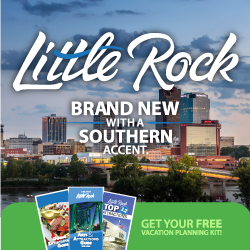 The Little Rock Marathon Health & Fitness Expo features more than 70 exhibitors showcasing a wide array of products and services geared toward runners, walkers and health minded consumers, as well as the latest advancements in distance running and walking, fitness and nutrition. The Expo is race weekend headquarters and the home of packet pick up for 14,000+ athletes, check in for some 2,000 volunteers and the hang out for many out-of-state participants. To secure a booth, click the green button below.